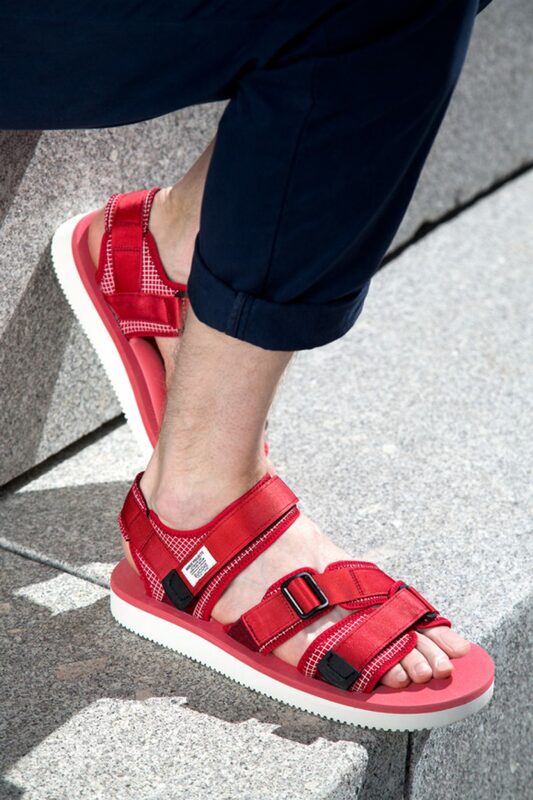 We have teamed up with SUICOKE for the second time to produce a small collection of functional, outdoor sandals, equipped with a nylon webbed upper, backed with neoprene foam and a Vibram base – world leader in high-performance rubber soles. Features include industrial nylon webbing, adjustable neoprene straps, shock-absorbing Vibram sole, and defined arch and heel for increased comfort. Finished with a durable Vibram outsole for added grip and traction. Produced in limited quantities.